Here is a list of available LineageOS 14.1 for Sony Xperia phones and tablets. What is Lineage OS?? I don’t know if you are aware of the fact that Cyanogenmod is LineageOS and there will be no development happen further on CyanogenMod from here. CyanogenMod 14.1 is the last development and further development from here on will happen on the CyanogenMod codebase but in the name of Lineage OS. In addition to this Sony Xperia Lineage OS 14.1 ROMs list, we also have a big list of available LineageOS 14.1 Nougat ROMs, Lineage OS 13 ROMs list. Although it’s too early to think of LineageOS 15 ROM based on Android O, but still we already have a list of Lineage OS 15 ROMs for available Devices. Earlier to LineageOS, there was this unofficial CM14.1 (CyanogenMod 14.1) ROMs and OFFICIAL CyanogenMod 14.1 (CM14.1) ROMs available but after CyanogenMod website is taken down, the OFFICIAL NIGHTLY builds will not be accessible at all. 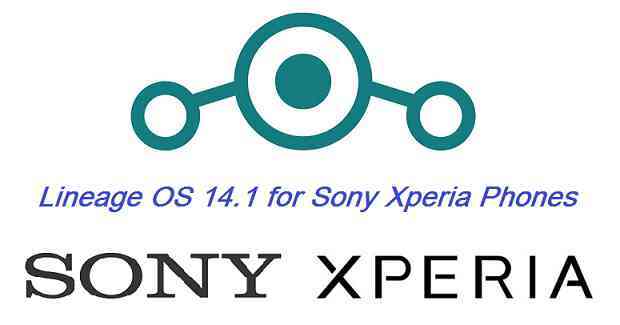 This page is dedicated to maintain the available Lineage OS 14.1 ROMs for Sony Xperia phones and tablets. There will be two such lists containing UNOFFICIAL Lineage OS 14.1 and OFFICIAL list of LineageOS 14.1 for available Sony Xperia phones. It’s been a quarter since the Lineage OS is operational and till now we have not if all but many Sony Xperia LineageOS 14.1 ROMs available. Just stay tuned to this post if you want the latest LineageOS 14.1 ROM for your Sony Xperia phone. It is not guaranteed that your device will get an update of Lineage OS but you can hope for the best always. Lineage OS 14.1 is not available for all of the Sony Xperia phones and out of the available builds, we may not have added all of the Sony Xperia phones in this list. If you find your device missing, then just login and place a request and I will try to search and bring it for you (if it is available). Any chance of a Lineage OS 14.1 for my Sony Xperia Z Ultra please? There doesn’t seem to be many of us getting a response from our requests/enquiries. In fact I was busy adding the LineageOS 15.1 and LineageOS 16 updates for various Android phones. Give me some time, I will update the LineageOS 14.1 for Xperia Z Ultra. Is “togari” the codename for Xperia Z Ultra? Hello, there is something for a Sony xperia e5303? (C4), thanks. Hola tengo un Sony Xperia Z Ultra C6833, ya que poseo el sistema operativo 5.1.1 y me gustaria actualizarlo. Mi pregunta es si tienen una ROM para este dispositivo movil? Support for Xperia E5? Any plans for it? for the Sony Xperia T3. sony xperia m4 aqua dual LTE (e2363) .please!!!!!!!!! sony m2 d2305 … pls!!! sony xperia m4 aqua (e2312) .please!!!!!!!!! Boa tarde! Teria algum para T2 Ultra Dual (D5322)? Obrigado, vocês estão com um ótimo trabalho, continuem assim. Please, add some fresh ROMs (CM14, ……) for Sony Xperia V and E3 (2203) into this respected site. Big thanks in advance! It would be great if you can provide it for Xperia z1 c6903 since it’s still used by many people. Hello, I have a Sony Xperia Z Ultra (togari). Is there any plan for this device. with issues on the camera and the proximity sensor. 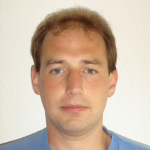 So I think the chances are not so big that we get a new one. That is a pity, because the hardware work fine. Yes, I’m desperately looking for an update from my (togari) Ultra’s Lollipop.